Not your ordinary yoga retreat. Soulstice Retreats are not only for the yogi, but for the adventurer, the risk-taker, the artist, the giver and the dreamer. Join us for embodying and unique experiences across the globe. We vow to save the worlds beaches, animals and feed families by donating 5% of all profits to destination charities across the globe and by including unique seva projects in each experience. Save your spot for only $500 down and pay the rest off leading up to the retreat. We want these experiences to be as accessible and memorable as we can. Pick the location that speaks to you below. There’s no better time to go to Bali, Indonesia. Join Lizzie Aguirre and Jen Lee in Bali for a 7 day retreat in Kuta Utara, Bali. Expect the highest quality stay in a private and staffed resort by the ocean, farm to table meals and drinks by a local Balinese chef, daily yoga, meditation and workshops, live music, sound baths, temple tours, surfing and much much more. Daily yoga, meditations and sound baths with teacher Lizzie Aguirre and Jen Lee. Expect live music and pool parties accompanied by musician, SWAYLÓ. Adventures, and excursions are all included in your retreat. Whether you want to hit the surf, see Balinese monkeys, and swim in the holy temple waters. We’ve got you covered! Fully staffed, secured and private home with farm to table meals cooked by a local balinese chef. Full bedrooms with large closets, daily maid service, full bathrooms with rain shower, bathtub and lounge area. Join Lizzie Aguirre and Gustavo Padron in Tulum, Mexico for a 4 day retreat in one of the most popular and beautiful destinations in the world. Available for PRE-ORDER. Oceanfront suites, staff, private chef and luxury rooms. Paddleboarding, beach days and nightlife dinners and dancing. Daily yoga, meditation, sound baths, temezcal ceremonies and more. Mayan Ruin tours and excursions all included. Join Lizzie Aguirre & Andrea Taylor in Manuel Antonio, Costa Rica for a five day connective yoga and meditation immersion in the heart of the jungle. Our private resort is right next to Manuel Antonio National Park, the surf, waterfalls and much more. Does our private resort need a caption? In the heart of the jungle… all excursions such as park tours, surf lessons and dance parties included. Boat tours, beach days and straight loungin’. Join yoga and meditation instructor Lizzie Aguirre and musician SWAYLÓ for a 5 day new year retreat in Puerto Escondido, Oaxaca, Mexico. Expect all of the things we dream of bringing in the new year with. Self-exploration, ocean therapy, massage, 5 star service, mezcal tastings, pool parties and more. Our cheapest yet most bang for your buck retreat yet. Oaxaca is known for the surf, culture, food and nightlife. 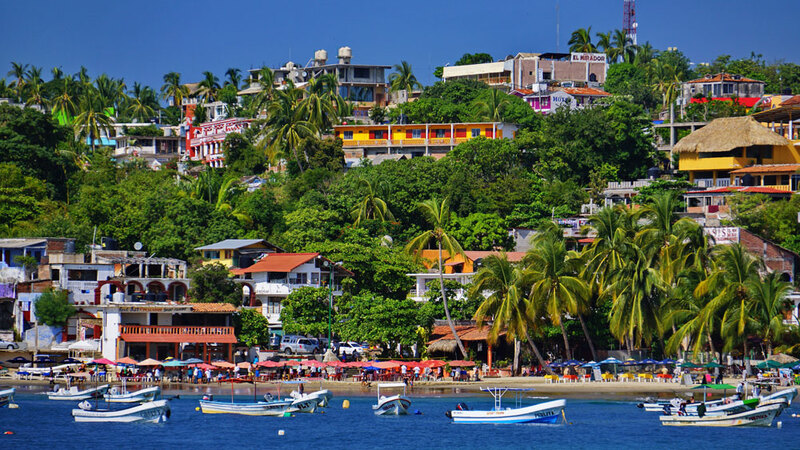 Puerto Escondido is one of the top beaches in the world. AND, it’s practically untouched by tourists. Expect privacy, luxury and a straight up unforgettable experience. Temazcal Ceremonies, daily ocean side morning meditations, yoga classes with live music and all the self love you can think of. Expect journaling, manifestation workshops and new year community intention setting. Every meal is cooked and created by our private chef. Unlimited Mezcal sponsored by Gem&Bolt to ensure an embodied, purposeful and celebratory experience. Nationally accredited producer and musician SWAYLÓ playing intimate sets in house and at local mezcalerias.